It could be a novel. The publicly waged battle between the NSA and privacy firms everywhere has permeated into every facet of our world, and no one is left untouched. The Germans and Brazilians call foul play on our government while the American people are divided on whether it’s really necessary. Although I’ve been on a Book Review streak lately, there’s no reason to think I haven’t forgotten my favorite subject, International Relations… although I’m focusing on the internal workings of the USA. The piece is titled because the extent of this NSA farce is beginning to remind me of a Harry Potter Novel. The NSA carries magic wands that allow them to dig into our personal phone information, while there are those who resist, who find it degrading to our personal privacy. But then there are the others who cry ‘National Security’. There are three sides in this battle. The NSA is the first. The National Security Agency, who arguably does a thorough job in investigating all terrorist threats who justifies their work by stating that without their tireless efforts, the amount of terrorist attacks would be more than doubled. The naysayers are the second side, generally groups like the ACLU and other firms that firmly believe in the right to privacy. They refute the NSA, saying that without being told – the collection of our private phone data is unacceptable, no matter what the terrorist threat is. And the third side is those who believe that despite the privacy violations, phone collection is an unsavory but understandable impact our globalized world has brought upon us. Although the battle has been going on for quite a long time, and stretched between the legality within the government and international reactions, the battle has gotten its most recent headline yesterday. A New York US District Judge ruled against the ACLU, saying that phone tracking is legal, and necessary. This is in contrast to a Washington DC District judge stating that it was illegal. As many Americans (and I count myself among them) hope, the Supreme Court may intervene. There is no full ruling on what the answer is, but with conflict among US District judges – there is a much stronger chance that the highest court in the nation will become involved. From a purely opinionated view, I side with the third. I despise thinking that no matter what I do, my phone is being tracked and my calls monitored. It’s not quite at the level of Orwellian tracking as some people like to exaggerate, but it is a massive invasion of privacy, whether it has good ramifications or not. But I also believe that it is necessary. It’s the fact that with our country facing multiple terrorist threats who wish our country to end, we need to be ‘on’ all the time. We cannot risk someone wanting to toss a bomb in the middle of New York City, and if the best way to counter that is tracking phone data – then fine. You can probably guess by now that my title choice was no accident. Perhaps the NSA is in the middle of a Harry Potteresque novel, but I do not see them as Voldemort. More than likely, they are to me – merely tools that we as a country must use to defeat our enemies. If we just continue this analogy… I see the NSA as Snape. A tool that both sides will use against the people they consider the enemy. 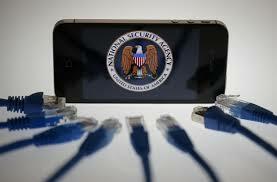 The American Government will support the measures taken, and use the NSA to discover and open up enemy secrets. The terrorists will use them as an example of draconian state measures. I doubt any phone tracking will stop, whatever the Supreme Court rules – but I wanted to write this to give someone, anyone who reads this, a perspective on what perhaps isn’t being reported.